Olive Wood direct from the Holy Land. The pattern in this wood can differ and the photo displays a sample only of the wood pattern, some is highly figured, others more plain depending on the cuts we receive. This product is made from natural wood and as such any patterns and colour variations is a normal part of any wood product. 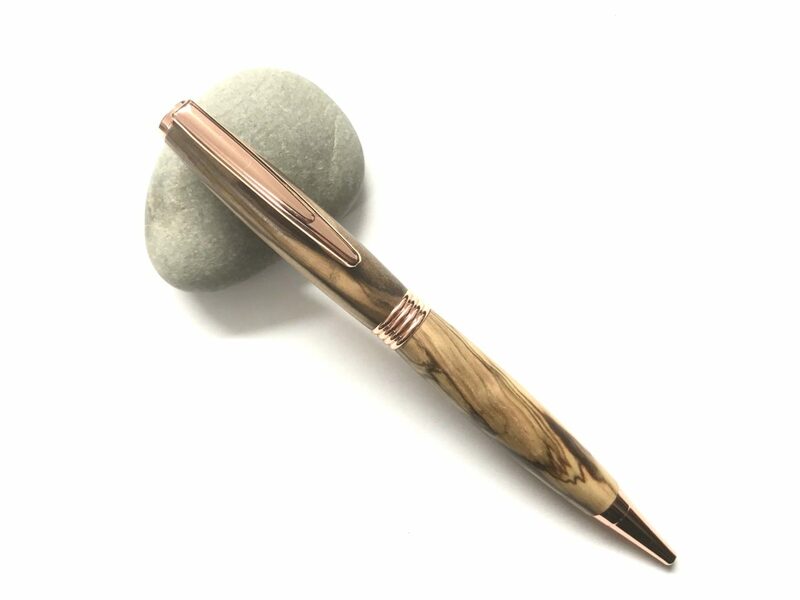 Pen is show in Rose Gold clip finish.